The perfect way to discover riding in the hills. Getting to grips with grooming! On this three day introduction to riding in the hills, our purpose is that you should feel at home with your horse and enjoy being in the saddle as you travel along the tracks and trails. 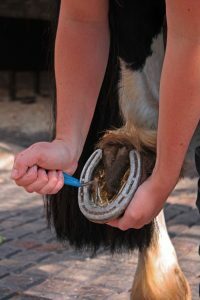 Even those with little or no previous experience will soon be able to prepare their horse for the trail – catch, feed, groom, and tack up. The course is absolutely practical and learning takes place out in the hills. As such it is also ideal for those wishing to come along and introduce a non-riding friend to the pleasures of horseback travel and horse holidays. The instruction and guidance we offer is relaxed, friendly and informal. The horses are patient and understanding. By the end of a Learn to Ride trail many riders will have significantly increased in confidence and be happy with all the basics. You can either join a Learn to Ride course on set dates or you can hire your own guide to ride this trail. If you hire your own guide, you can start and finish the trail on any days and dates throughout our season. Ride out from Freerein HQ across the Radnor Hills to stay at an inn for the night. Two nights are spent at the Roast Ox Inn. It’s a friendly place with rooms and food on offer. They also all serve real ales and cider. Perfect for Apres-Trail beverages with your fellow riders! To get the most out of your learn to ride riding holiday you need to be fit, keen to learn, have a sense of adventure and enjoy the outdoors come rain or shine! Our weight limit is 92 Kgs / 14 Stone 7lb / 203 Lbs. There is a maximum of 6 riders on an learn to ride horse holiday. This means everyone gets plenty of individual attention. Your guide is a professional adult who has undergone a large amount of training in routes, horses and customer service. Guiding at Freerein is a paid, full time profession. Our guides have lots of experience introducing people to hills and horses. They love what they do. Individual riders are most welcome on learn to ride courses and single rooms are available. Its a great way to meet other people with a similar interest. Our Learn to Ride holidays are aimed at adults. They are friendly and sociable holidays staying overnight at inns. Young adults are most welcome if accompanied, the minimum age for a learn to ride riding holiday is 14 years old. Learn to ride courses run on set dates throughout our season. Alternatively you can have your own guide just for your own group starting and finishing on any dates during our season. Catching, grooming, feeding, checking hooves and tacking up (putting on headcollar, bridle, saddle, numnah and saddlebags). Controlling your horse at the walk, leading, up and down steep slopes, dismounting and remounting. Progress from walk to trot and, for many, a canter or two by day three. Those intending to do future Self Guided trails will be introduced to, and have practice using, the Freerein maps and route descriptions. Arrive Freerein HQ for 9am. Label trail luggage for delivery. Basic trail preparation and instruction, then out into the hills en route to your inn for the evening. Arrive, feed, groom and turn out horses. Prepare horse for trail. 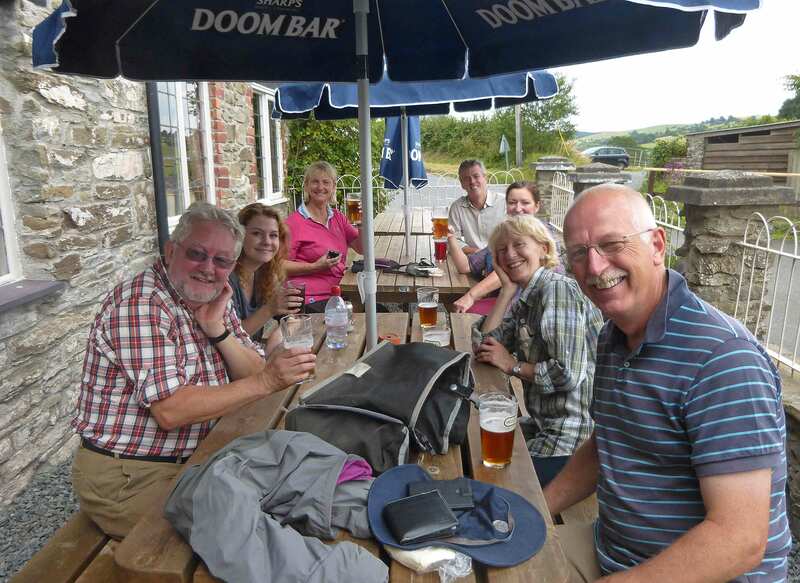 Full day in the saddle on Newchurch, Rhulen and Llanbedr Hills returning to your inn for the evening. 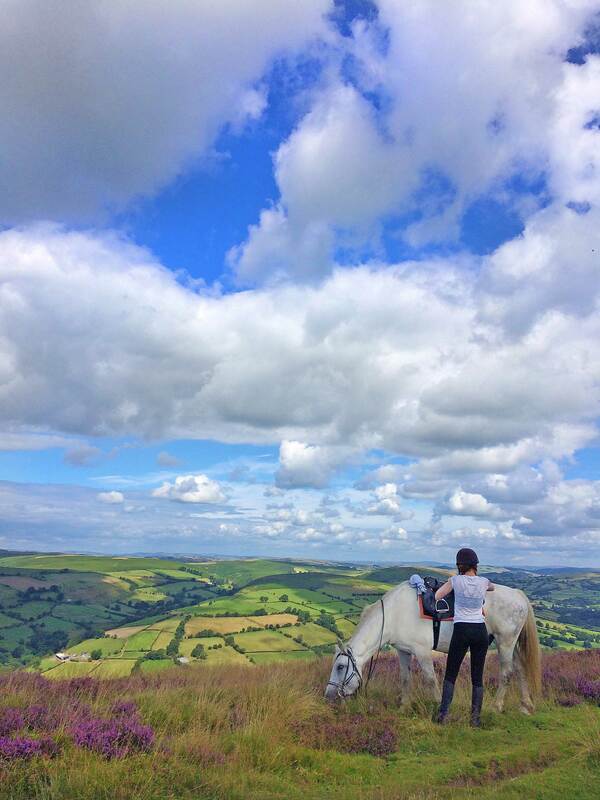 By now you will have had time to bond with your horse and the ride back to Freerein HQ should consolidate the experiences of the first 2 days. Many may now be enjoying a canter as they return to base via Llanbwchllyn Lake and the Begwns. Returns to HQ for approx 5pm.